Sometimes your celebration of America begins with poking around online and finding a German-language poster for Scream 2. 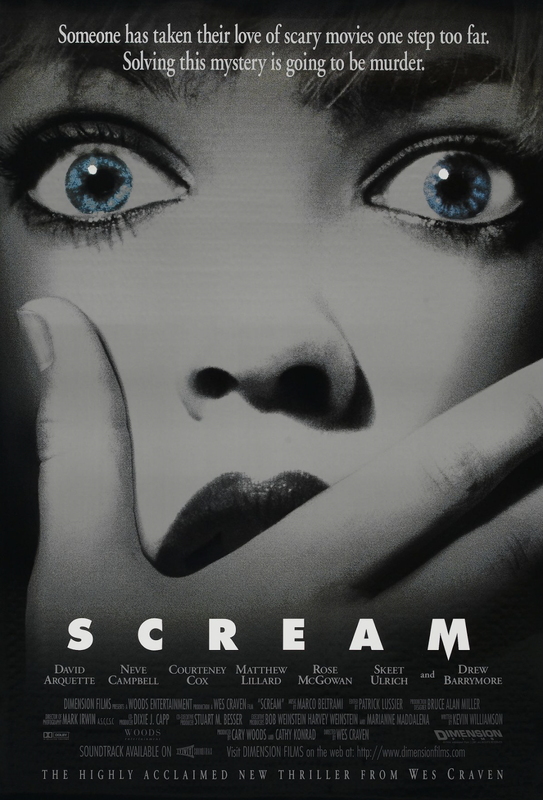 For a piece of promotional art that came out in the late ’90s, this poster pings all your old movie nostalgia censors. It reminds you of something that would have come out two decades earlier. You don’t even mind that during the scant few minutes that Jada Pinkett actually appears in Scream 2, she never uses a phone, to say nothing from using an old-fashioned pay phone receiver. And you wonder what aesthetic debate went into the decision to feature Pinkett’s skin as being brown. 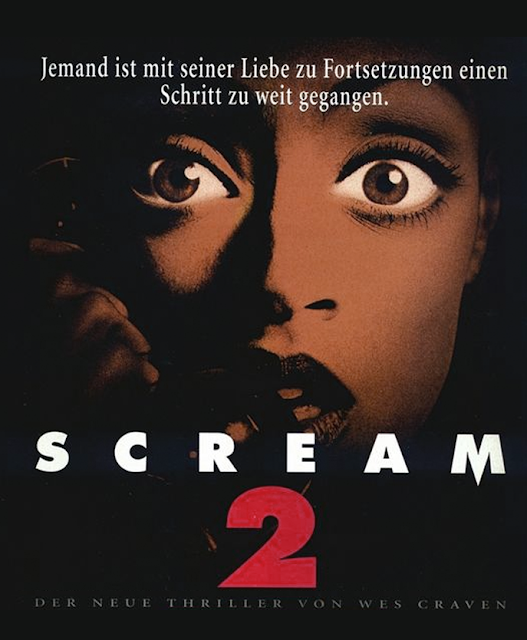 Of course, her skin actually is brown, and that’s actually an important aspect to the role she plays in Scream 2, what with the discussion with Omar Epps about African-American representation in the horror genre and the general tendency to kill off the black guy first. In the poster for the first movie, Drew Barrymore’s face shows up ghostly white. It’s interesting that this German poster, and only this German poster, puts Pinkett front and center in the way Barrymore appeared on the first poster and doesn’t change her skin tone. But Courteney Cox has BLUE eyes. 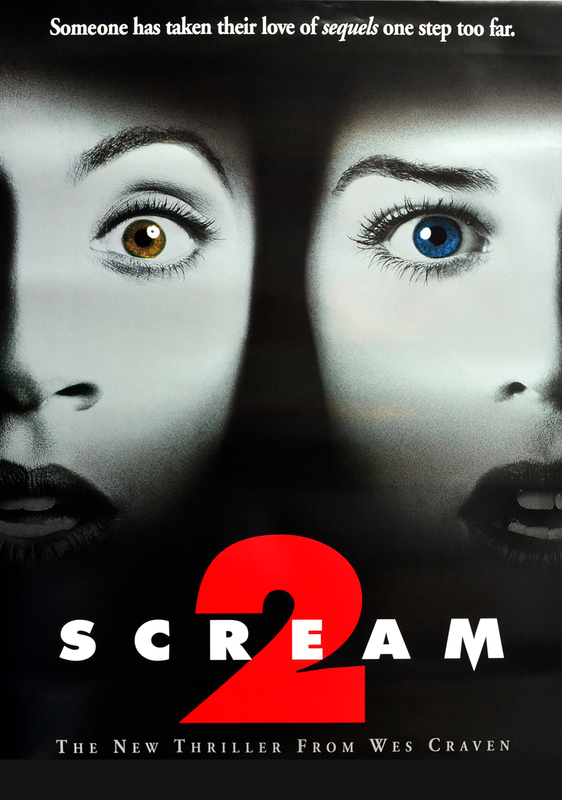 That's not her on the American Scream 2 poster. That's Jada Pinkett, whitewashed in exactly the way you said would be the worst. You're right. I've fixed the post to reflect this.